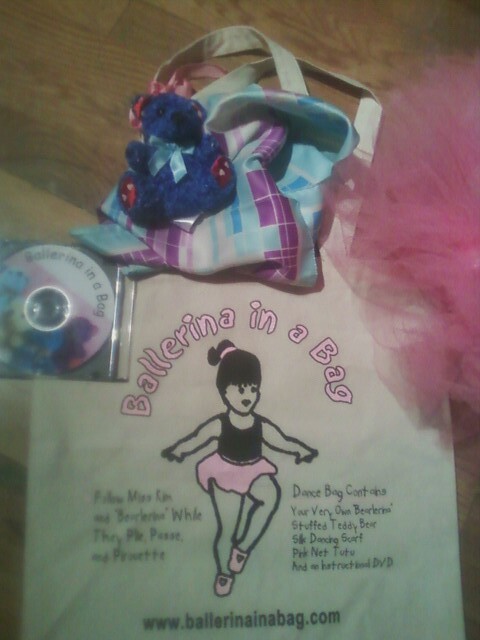 Our kit contains a 30 minute instructional DVD, a silk scarf, stuffed teddy bear, pink net tutu and a canvas dance bag. Kim Abrahamson started dancing at age 4, and loved it. In High School she began assisting, and then teaching classes in Ballet, Tap, and Jazz. She majored in Business and Dance at Arizona State. From 1977-81, while in Arizona, Kim managed and taught at a local studio. knew that she wanted her own studio. In 1987, Kim opened Dance Academy. In 2005 she began developing Ballerina in a Bag, an instructional video dance kit. and includes a special pink TUTU for the final dance.
" Dance should always be fun and exciting."